Background: Hospital malnutrition, usually secondary to various diseases and their treatments, is an important problem in our clinical practice. For its proper assessment, it is crucial to use a nutritional alert system, such as the CONUT (COntrol NUTrition) program; this tool uses 3 analytical parameters: serum albumin, total cholesterol, and total lymphocyte count. Objective: The current study assessed the results of the implementation of this program in the University Hospital Ramón y Cajal. Methods: The CONUT program has been used in the University Hospital Ramón y Cajal since 2013. This retrospective study, throughout 2016, was conducted in the Central Laboratory of Chemical Biochemistry at the University Hospital Ramón y Cajal. All blood tests with serum albumin, total cholesterol, and total lymphocyte count were studied. The degree of malnutrition was assessed using the scale of normal (=0), mild (=4), moderate (=8), and severe (=12). Results: In 2016, there were 405406 analytics performed in the laboratory of University Hospital Ramón y Cajal. The CONUT tool was applied to 3.64% of them (14741 analytics). In the outpatient setting, the highest malnutrition index comprised patients from the liver transplant consultation department, followed by the cardiology, rheumatology, and oncology departments. With inpatients, the hematology, cardiology, and endocrinology departments showed the most severe malnutrition index. Conclusion: The CONUT system seemed to provide useful information about the cohort of the studied hospital. The results showed that 94% of the patients were not classified with malnutrition, there was no gender predilection, and they were younger than the rest. Patients with more severe malnutrition were usually older and male. García de Lorenzo A, Álvarez Hernández J, Planas M, et al. Multidisciplinary consensus work-team on the approach to hospital malnutrition in Spain. Nutr Hosp. 2011;26(4):701- 710. doi:10.1590/S0212-16112011000400006. Moriana M, Civera M, Artero A, et al. Validez de la valoración subjetiva global como método de despistaje de desnutrición hospitalaria. Prevalencia de desnutrición en un hospital terciario (Validity of subjective global assessment as a screening method for hospital malnutrition. Prevalence of malnutrition in a tertiary hospital). Endocrinol Nutr. 2014;61:184-189. doi:10.1016/j.endonu.2013.10.006. Ulíbarri Pérez JI, Fernández G, Rodríguez Salvanés F, et al. Proyecto para la Prevención, Detección precoz y Control de la Desnutrición Clínica. (Proyecto CONUT). Actualizado en Octubre 2013. Project for the Prevention, Early detection and Control of Clinical Malnutrition (The CONUT project). https://controlnutricional.files.wordpress.com/2010/12/proyectoconut-octubre-2013.pdf. Accessed May 11, 2018. Updated October 2013. Cereda E, Pedrolli C, ZagamiA, et al. Nutritional risk, functional status and mortality in newly institutionalised elderly. Br J Nutr. 2013;110:1903-1909. doi:10.1017/S0007114513001062. Alcorta MD, Alvarez PC, Cabetas RN, et al. The importance of serum albumin determination method to classify patients based on nutritional status. Clin Nutr ESPEN. 2018;25:110- 113. doi:10.1016/j.clnesp.2018.03.124. Xie Y, Zhang H, Ye T, et al. The geriatric nutritional risk index independently predicts mortality in diabetic foot ulcers patients undergoing amputations. J Diabetes Res. 2017;2017: 5797194. doi:10.1155/2017/5797194. Takahashi S, Suzuki K, Kojima F, et al. Geriatric nutritional risk index as a simple predictor of mortality in maintenance hemodialysis patients: a single center study. Int J Clin Med. 2015;6:354-362. doi:10.4236/ijcm.2015.65046. Sun X, Luo L, Zhao X, et al. Controlling Nutritional Status (CONUT) score as a predictor of all-cause mortality in elderly hypertensive patients: a prospective follow-up study. BMJ Open. 2017;7:e015649. doi:10.1136/bmjopen-2016-015649. Ulíbarri Pérez JI, Fernández G, Rodríguez Salvanés F, et al. Nutritional screening; control of clinical undernutrition with analytical parameters. Nutr Hosp. 2014;29(4):797-811. doi:10.3305/nh.2014.29.4.7275. Molina Soria JB, Lobo Támer G, Pérez de la Cruz AJ, et al. Prevalencia de desnutrición al ingreso en un hospital general básico (Prevalence of malnutrition to income in a basic general hospital). Nutr Hosp 2017;34(6):1390-1398. doi:10.20960/nh.1133. Rentero Redondo L, Iniesta Navalón C, Gascón Cánovas JJ, et al. Desnutrición en el paciente anciano al ingreso hospitalario, un viejo problema sin solucionar (Malnutrition in the elderly patient to hospital admission, an old problem unsolved). Nutr Hosp. 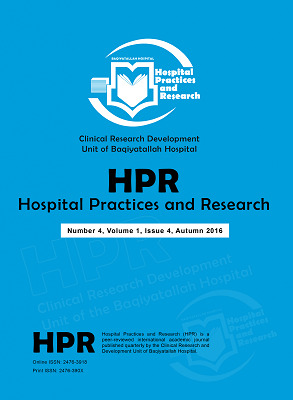 2015;1;32:2169-2177. doi:10.3305/ nh.2015.32.5.9712. Secretaría General del Servicio Madrileño de Salud. Comunidad de Madrid. Hospital Universitario “Ramón y Cajal”. Memoria 2016. Edición electrónica 9/2017. http://www.madrid.org/cs/Satellite?blobcol=urldata&blobheader=application%2Fpdf&blobheadername1=Contentdisposition&blobheadername2=cadena&blobheadervalue1=filename%3DMemoria+2016.pdf&blobheadervalue2=language%3Des%26site%3DHospitalRamonCajal&blobkey=id&blobtable=MungoBlobs&blobwhere=1352944025120&ssbinary=true. Abd Aziz NAS, Teng NIMF, Abdul Hamid MR, et al. Assessing the nutritional status of hospitalized elderly. Clin Interv Aging. 2017:12:1615-1625. doi:10.2147/CIA.S140859.